Beautiful beaches. Small towns. Friendly neighbors. Robin Adney has called Volusia County home for most of her life. She attended New Smyrna Beach High School, and graduated from the University of Central Florida with a degree in Radio and Television. 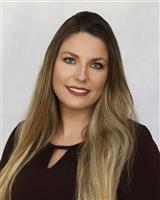 Working for FOX TV in Orlando for more than 11 years, she understands the area unlike many others and has extensive experience in video and digital marketing. Robin decided to pursue her passion for real estate after the purchase of her first home. She found that being a single mom and finding the right house, with the right agent, can be a challenge. So, she’s made it her personal mission to help other singles navigate through the house buying process with ease. When Robin isn’t working, she enjoys spending time with her 16 year-old son, cooking, remodeling her home, and running.